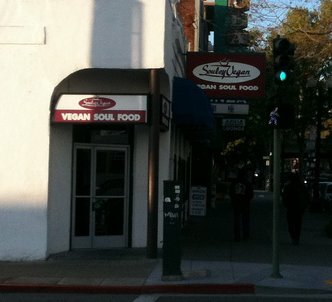 In Berkeley, I saw a sign for "Souley Vegan", serving Vegan Soul Food. Perhaps it is a splendid place, suffering unjustly from my deep prejudice against the very concept of vegan soul food. I may never know.